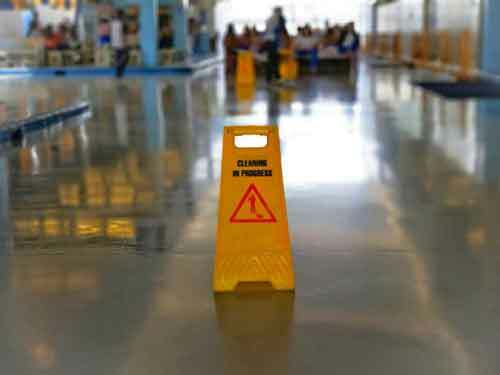 A slip and fall case is often also called a premise liability case. A premise is property or a building owned by a third party and so premise liability is a legal concept that means that a property owner is responsible, or liable, to keep their property safe and hazard-free. Premise liability cases are also called slip and fall cases because that’s often how the victim was injured, by slipping and falling. Whether you or a loved one were hurt in a slip and fall case, you deserve compensation. James J. Gay Law, LLC will work with you to recover the compensation you deserve for the cost of medical expenses and lost wages in a timely manner. If you or a loved one have experienced these or other injuries as a result of premise liability, call us for an appointment today. If you experience an injury on another person’s premise, take pictures of where the accident occurred. Not just of the property, but exactly where the injury happened and the cause of the injury. Having witnesses vouch for your injury as well as the cause of the injury can greatly improve a case. Establish a record of the incident by calling the authorities to get treated for your injury soon after it happens. Report the accident to the property owner. Give us a call today and make an appointment. We’ll take a look at your case, and any records you may have, and discuss how we can get help you get the compensation you need. Give us a call today 312.800.1970 and make an appointment. We’ll take a look at your case and discuss how we can get help you get back on your feet again with the compensation you need. James J. Gay Law fights for individuals who have sustained injuries in a variety of situations. Different degrees of fault can exist and several elements are necessary to prove a case in court and be successful against the wrongdoer or negligent party in a tort action. Also, more than one person or party may be at fault, and responsibility may be apportioned among all of the wrongdoers. In some instances, the victim may even be partly at fault for the tragedy but that does not necessarily mean the person does not have a right to bring a lawsuit. Consulting with an experienced Chicago personal injury lawyer such as James J. Gay Law, LLC is important to determine whether or not a particular claim should be brought to court to achieve a fair resolution for an injured person. Working with an experienced law firm is the only way to recover the damages you or your loved one are owed. Make an appointment with the James J. Gay Law and you’ll receive a free consultation with an experienced lawyer who can help you recover both monetary and non-economic damages.